Cycliq Group Limited, formerly Voyager Global Group Limited, is an Australia-based lifestyle brand company. The Company sells high definition (HD) camera/light combination accessories for cyclists. The Company sells its products in over 25 countries. 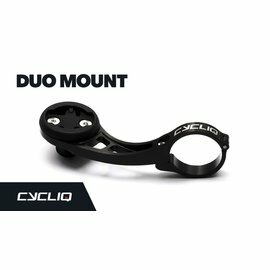 The Company operates its business of designing, manufacturing and selling cycling accessories under the brand Cycliq Products. The Company sells HD camera and light combos, apparel and accessories. The Company is also focuses on offering cloud-based subscription services, smartphone applications for sale on iTunes and Google Play stores and the licensing of its intellectual property to third parties. The Company's products include bicycle cameras, FLY12 and FLY6. FLY6 is a rear facing HD bike camera and over 30 lumen light combination. FLY12 is a front facing bike camera. Outside of Australia, the Company's operations, including marketing, distribution, sales and sales support are conducted by its subsidiary, BSA International Ltd (BSA).